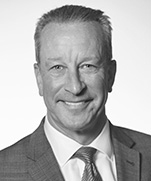 Mark Trigg is an accomplished trial lawyer who has litigated numerous complex cases throughout the country, including corporate and partnership disputes, class actions, defamation and media law claims, sports and entertainment cases, real estate disputes, securities litigation, labor and employment cases, breach of contract claims, and white collar criminal defense. Mark also possesses substantial experience representing corporations and individuals in government investigations, administrative proceedings and civil actions in federal and state courts. A former United Methodist minister and a compelling public speaker, Mark has advocated for clients in jury and bench trials in federal and state courts of general jurisdiction, including on appeal; in specialized settings, including tax, and before administrative tribunals; and using alternative dispute resolution (ADR) processes, including negotiation, conciliation, mediation and arbitration. Successfully defending a municipality and its department of aviation in litigation brought by multiple frustrated bidders challenging the procurement process for airport concessions at the world's largest international airport, a case valued at approximately $3 billion. Successfully defending a metropolitan transit authority in a US district court in a case seeking to enjoin the award and performance of a $220 million contract to overhaul a tunnel ventilation system. After a hearing and oral argument, the court denied the frustrated bidder's motion for a preliminary injunction, resulting in the plaintiff's voluntarily abandonment of the bid challenge. Successfully defending one of the world's largest computer manufacturers in a class action alleging that 59 models in one of its laptop lines contained either a manufacturing or design defect that rendered its plastic parts prone to cracking. Plaintiffs sought to certify a putative class of hundreds of thousands of purchasers claiming damages totaling $1.5 billion. After a successful narrowing of discovery and series of summary judgment motions, the plaintiffs abandoned the litigation. Successfully defending a major international airline in numerous actions, including obtaining a defense verdict from a jury in a multimillion-dollar personal injury action filed by a paraplegic passenger, who claimed her condition resulted from an injury she sustained while on board a flight. Successfully defending a public school system and its faculty in an action brought by a student alleging failure to prevent bullying behavior and including claims of negligence, substantive due process, equal protection, Title VI and intentional infliction of emotional distress. The case was dismissed on summary judgment and the court's decision was affirmed on appeal. Successful representation of medical providers, including argument before the Georgia Supreme Court, in case of first impression articulating the appropriate standard for striking "scandalous" allegations from pleadings. Successfully defending a company (and its principals) that offered capital recovery services for securities class action settlements and commercial class action settlements, against claims of false and misleading advertising practices. Obtained dismissal of the case on all charges. Successfully representing large regional petroleum company in real estate dispute with its largest competitor, by obtaining favorable verdict following bench trial and affirmance on appeal. Successfully defending the principals of an entity that sold interests in general partnerships formed to collect pools of charged off consumer debt in an SEC enforcement action, obtaining a trial court order dismissing all charges. Successfully defending the interests of one of the nation's largest waste removal companies in litigation brought by a losing bidder against one of Georgia's largest counties challenging its contract procurement process. Successfully defending a medical services contractor and its physician in a wrongful death action with civil rights claims filed in federal court by the administratrix of a decedent inmate's estate, obtaining a defense jury verdict, after all other defendants settled with the plaintiff prior to the case being submitted to the jury. Successfully representing one of the world's largest retailers in obtaining an order from the trial court denying a plaintiff's request, based on alleged discovery misconduct by previous defense counsel, to strike the client's answer. Successfully defending a leading vacation ownership company against a putative class action alleging that its advertising practices violated the Telephone Consumer Protection Act, obtaining dismissal of the litigation. Successfully representing a former municipal bond counsel, as plaintiff, in a defamation action against a newspaper, obtaining a plaintiff's jury verdict determination that the article at issue was false. Successfully representing newspaper in opposing motion to seal the record in litigation involving allegations of misconduct by college board of trustees. Successfully representing one of Atlanta's premier restaurants by defeating litigation challenging its application for a liquor license for an expanded retail location based upon its alleged failure to comply with certain statutory requirements. Successfully representing candidate for the Georgia Court of Appeals, by defeating challenges to her eligibility for the office. Successfully defending owners of Tennessee Walking Horses in administrative prosecution brought pursuant to the Horse Protection Act by the U.S. Department of Agriculture. Successfully representing student falsely arrested, by serving as lead trial counsel in obtaining jury verdict in excess of twenty times the amount offered to settle the case prior to trial. Successfully representing one of the world's largest producers of spirits, beer and wine by obtaining summary judgment at the trial court level and affirmance by the Georgia Court of Appeals in action alleging client's responsibility for personal injuries sustained during an altercation at a celebrity event purportedly sponsored by the client. Successfully representing Hall of Fame NBA player by obtaining summary judgment in action filed against him in federal court arising from an alleged breach of a contractual agreement. Successfully representing NFL player in administrative disciplinary proceedings before the NFL Commissioner. Successfully representing IT vendor in litigation against a municipality in breach of contract action, resulting in multimillion-dollar settlement. Successfully representing student accused in criminal matter of making terroristic threats by serving as lead trial counsel and obtaining a defense jury verdict. Successfully representing client accused in criminal matter of financial instrument fraud by serving as lead trial counsel and obtaining a defense jury verdict. 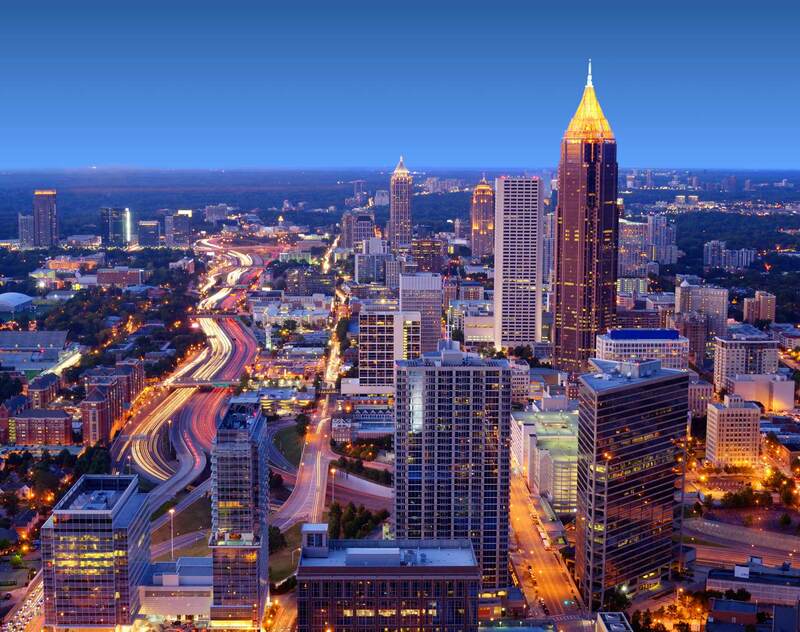 Served as Special Counsel to the City of Atlanta Ethics Board. Served as personal counsel to two City of Atlanta Mayors, two City of Atlanta City Council members, one Fulton County Commissioner, one Fulton County Sheriff, one Fulton County Attorney and three Fulton County judges. Served as personal counsel to an iconic entertainment figure during her lifetime, and as counsel to her estate and related entities following her death. Served as personal counsel to numerous entertainers, public officials, corporate executives and other public figures by resolving potentially high profile disputes prior to litigation through discrete and confidential processes.